Cereal Killer Café: Ordinary to Extraordinary Cereal • Tips, Trends & News in 60 Seconds or Less! 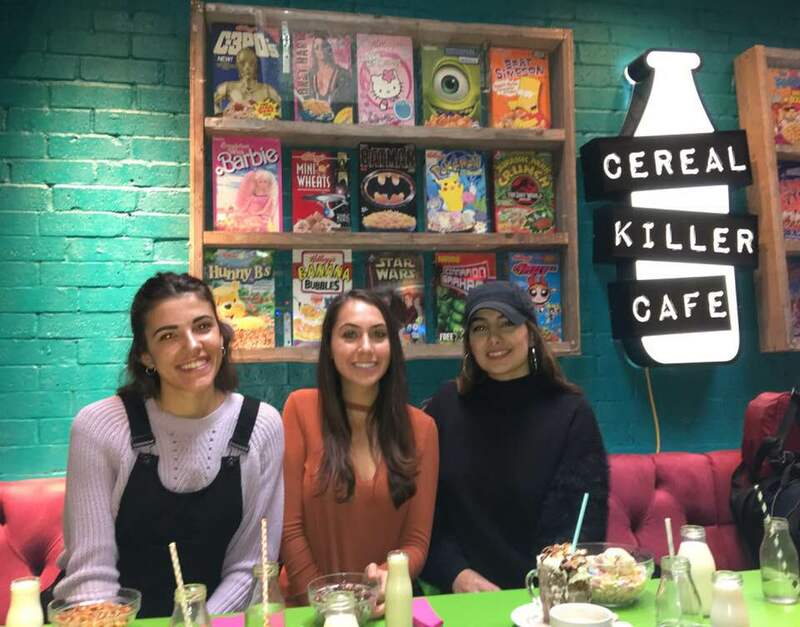 Who would’ve thought that a café selling cereal would cause such pandemonium among millennials in London? Masses of people flock, cameras in hand, to the two London locations of Cereal Killer Café. Customers can choose from Superbowls such as Unicorn Poop, Luckiest Charms, and Cookie Doh. Also, there’s a vast selection of cocktails, milkshakes, and appetizers. Dairy free alternatives are available for all of the cereals! When I went to try this café out for myself, I arrived with a big group and and crowded into our funky table. The walls are covered up by cereal boxes and the ‘seats’ are just spaces atop a large bed. 80’s music jammed in the background and the whole interior felt like a colorful daze. We made a united consensus that the best cereal creation was The Luckiest Charms. 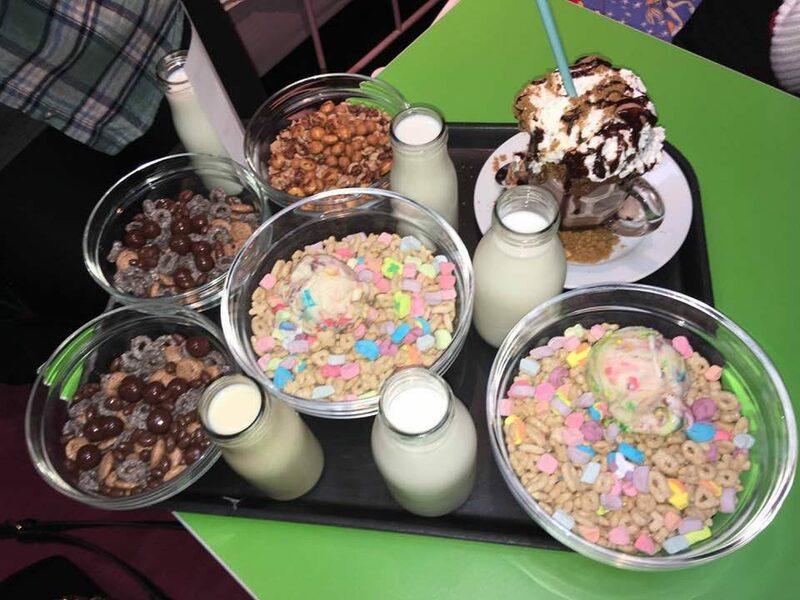 This dish featured Lucky Charms (of course), freeze dried marshmallows, Lucky Charms ice cream, and Leprechaun Green Milk. Heavenly. It’s only fitting that this quirky café is located in two of the most hipster areas of London, Brick Lane and Camden Market. Brick Lane is open 8AM-10PM everyday while Camden’s location is from 9:30AM-7PM. I recommend coming in on a weekday because weekends (especially in the mornings) are intensely crowded!